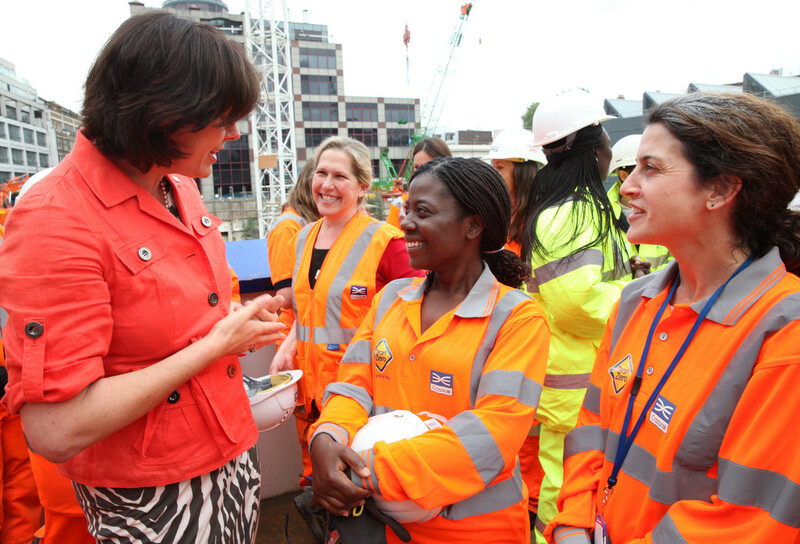 Transport Minister meets the female engineers building London’s transport network - Crossrail . For information about the Elizabeth line please visit the Transport for London website. 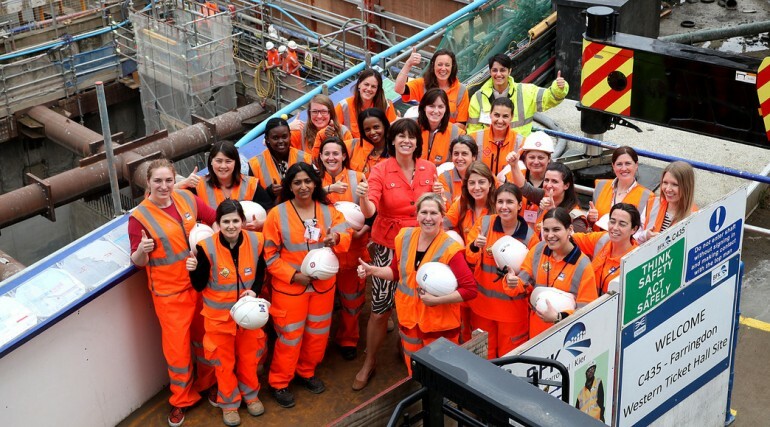 Rail Minister Claire Perry MP has joined female engineers from Transport for London (TfL), Crossrail and Network Rail who are building London’s transport network, and urged more women to consider a career in engineering and transport more widely. 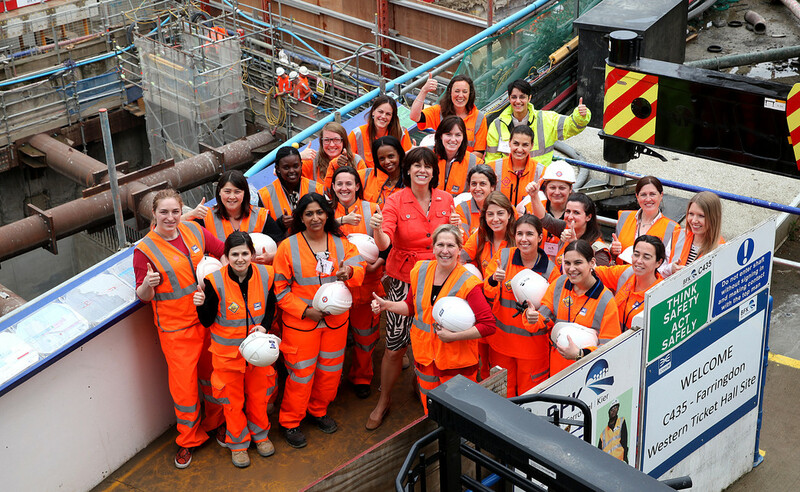 Claire Perry joined the women at Farringdon Station, which will provide Thameslink, Crossrail and London Underground services from 2018. With London’s population set to grow from 8.6 million today to 10 million by 2030, the Capital will need significant investment in infrastructure to keep London working and growing. Engineers will be needed to deliver the schemes that will be required, however with only six per cent of engineers in the UK being women and the demand for people to fill Science, Technology, Engineering and Maths (STEM) roles exceeding supply, urgent action is needed to fill the skill gap. A report by Engineering UK has identified that if more women participated in STEM jobs, an additional £2 billion could be contributed to the UK economy. 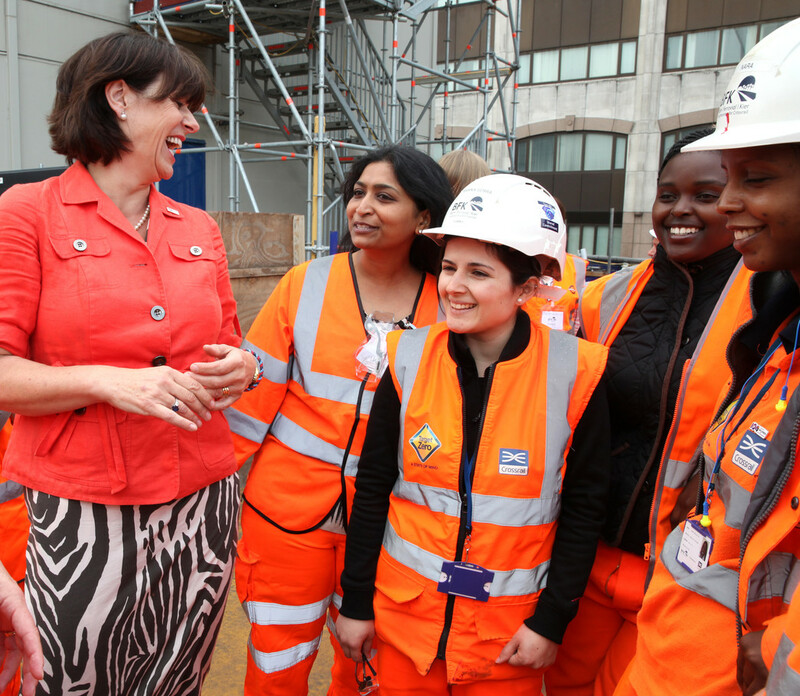 The Minister’s visit marked the start of a series of events to inspire and encourage more young women to consider careers in engineering, which are being held over the coming week and coincide with National Women in Engineering Day on 23 June. 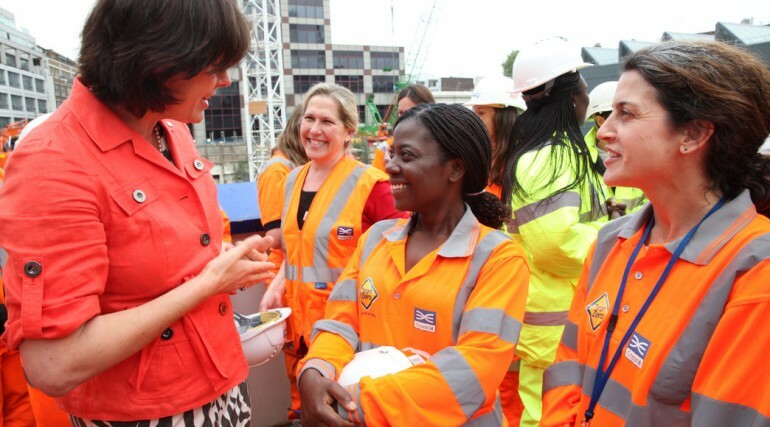 Rail Minister Claire Perry said: “As part of our long term economic plan we are making record investments in roads and rail and I want to see women at the heart of major infrastructure projects like Crossrail and HS2. Dana Skelley, Director of Asset Management for Surface Transport at TfL, said: “London will need more engineers by the end of the decade and it is important that we take the right steps now to encourage more people to join the industry. 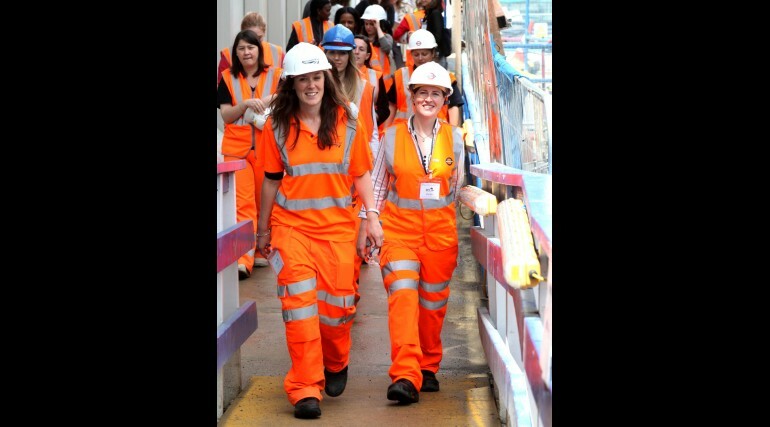 The London Transport Museum and TfL are running a special Route into Work pre-employment training programme, which is targeted at women, at the Museum from Monday 22 to Wednesday 24 June. Route into Work is an accredited programme that links young people with jobs and opportunities in the transport sector. 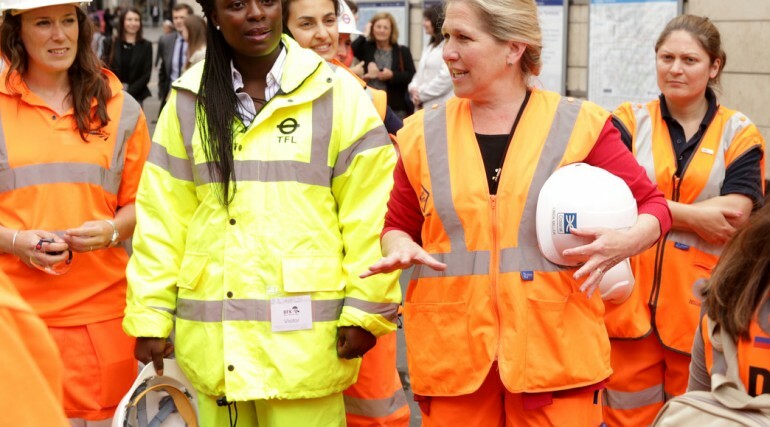 To celebrate women in engineering and in the technology industry on National Women in Engineering Day, TfL and over 150 other transport and engineering organisations broke the world record this morning for the most people performing a jumping high-five simultaneously. Over 800 people in transport, engineering and technology roles, took part in the record at Horse Guards Parade, which was certificated by Guinness World Records. Transport Minister Lord Ahmad will be marking the achievements of women in transport with a skills summit of female engineers today at the Department for Transport. 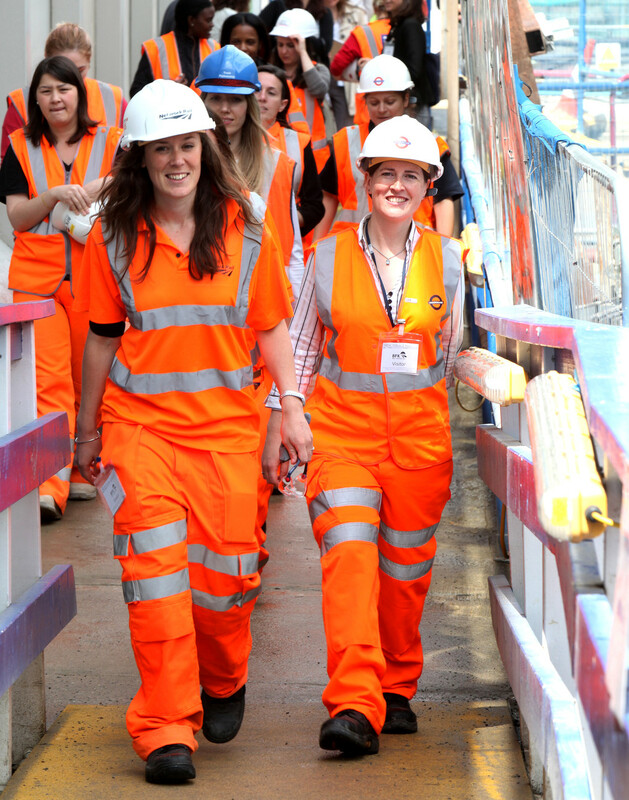 Crossrail has invited young women from schools near the route to visit the project and take part in engineering challenges, is hosting a panel discussion at an industry leadership event to explore what more can be done and will undertake a twitter Q&A and sharing stories online. 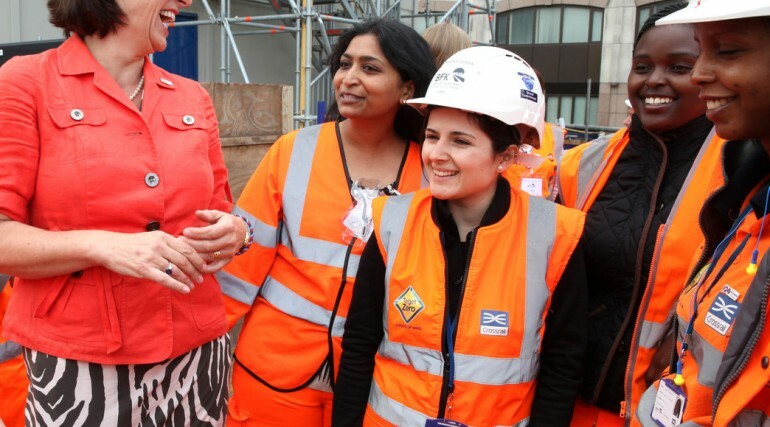 TfL will also be hosting a Twitter Q&A session with female engineers every day from Monday 22 June to Friday 26 June from 16:00 to 17:00 using #AskanEngineer. 2015 marks 100 years of women working in transport, with women taking on operational roles in the First World War and being involved in building landmarks such as Waterloo Bridge, dubbed the 'Ladies Bridge', which opened in December 1945. 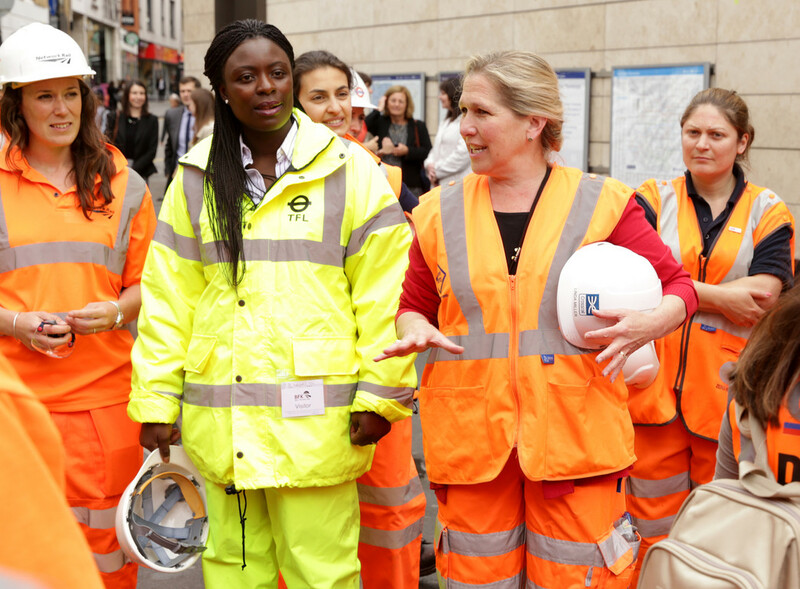 TfL is working with Crossrail, the Department for Transport, Network Rail, the Women’s Transportation Seminar and Women’s Engineering Society and others to celebrate the contribution that women have and continue to make to the transport industry. Since 2008, TfL and its supply chain have created over 10,000 graduate and apprenticeship roles to ensure that it has sufficient and sustainable capability to meet demand for now and the future. So far this year, over 600 students from across the Capital have attended TfL and London Transport Museum’s Inspire Engineering Days which are aimed at encouraging young people to consider careers in engineering and transport planning. Aoife Considine, a Graduate Mechanical Engineer at TfL, said: “I chose to become an engineer as it’s a career that can take you anywhere. As a graduate mechanical engineer at TfL, I get the opportunity to work on different projects which allow me to gain experience in all areas of the business and see how engineers are key to the safe and efficient movement of people around our Capital. With the arrival of Crossrail in 2018 Farringdon will become one of the UK’s busiest rail hubs, with direct connections to London Underground and upgraded and expanded Thameslink services. This brand new interchange will transform the way passengers travel through London and the South East, providing more capacity and direct connections to three of London’s five airports and international rail services at St Pancras. Passengers will also benefit from quicker connections and will be able to travel to Tottenham Court Road in three minutes, Heathrow in just over 30 minutes and Canary Wharf in nine minutes. Number of women engineers in the UK - http://www.wes.org.uk/statistics - Royal Academy of Engineering analysis of the Labour Force Survey, 2004-10, quoted in Diversity Data, RAEng, 20.